We are back again! With a simple race, new location and shorter distance (5km), suitable for all family members during the weekend for a great outdoor sporting event. 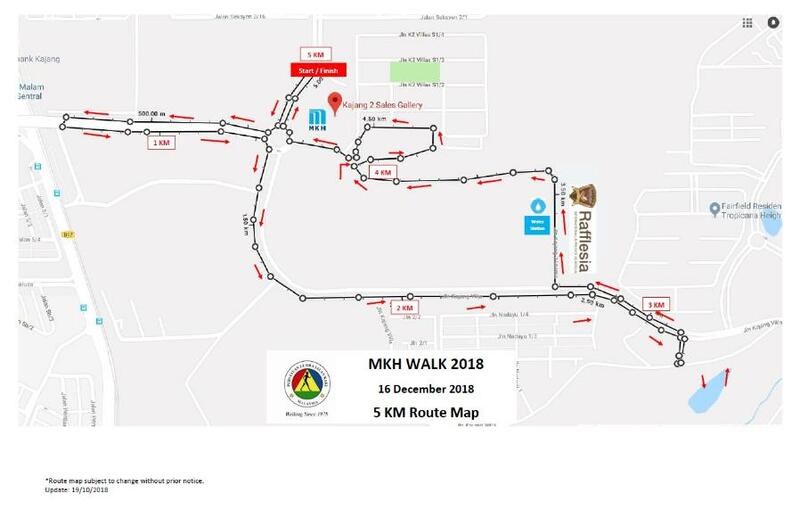 Also, Importantly a chance FOR YOU to walk away with a brand new Samsung Galaxy Note 9, Samsung Gear Sport or a Galaxy Tab A6 by just register yourself (RM20.00) at our MKH Walk 2018. Step 3: Present at our Lucky draw session on 16/12/18 (Sun). Note: Family Fun Walk 2 Adult + Min 1 Child & Max 2 Child. Step 1: Download and fill up the form. Step 3: Payment Cash or cheque only. Step 2: Payment by Online Transfer or Cash Deposit. Note: The organiser reserves the right to amend the Rules & Regulations without giving prior notification or any reason thereof. www.Adrenaline Addict Asia In supporting with "Go Green", RWAM strongly encourage participants to register online through our Official Registration Partner.